Autumn is one of the best seasons in which to go somewhere that’s warmer than England. It’s during this time that the majority of people return to either work or education, so it’s an excellent opportunity to enjoy the benefits of off-peak travel. You may want to have a tan for the winter season or simply experience an adventure. Here are six destinations you should definitely visit during this normally frosty time of the year. If you truly want to forget about the cold and early nights normally associated with autumn then go to Monaco. Although it isn’t the warmest time to go, temperatures are still extremely pleasant, ranging from 15Oc to 21Oc. For those of you that love going on a shopping spree you will be spoiled for choice. Monte Carlo is a luxury shopping capital that people flock to from all corners of the world. You can expect shops such as Prada, Louis Vuitton and Yves Saint to name a just few. One of the most popular sights to see in Monaco is the marina. The number of vessels in the bay is staggering. From a steep cliffside location you’ll be able to look down at the mega yachts that cost millions! When it comes to food you’ll be amazed at how much selection there is. As Monaco is situated by the sea, seafood is a popular choice when eating out. This country has the benefit of an optimised growing climate, allowing them to produce amazing vegetables and fresh fruits. Restaurants normally offer a fine dining experience in luxury locations. All of this isn’t bad for the world’s second smallest country! Another location that’ll make you forget that autumn even exists is the Dominican Republic. Situated in the Caribbean, the temperature can be anywhere from 20oc to 28oc, although some parts such as Jarabacoa and Constanza have an average temperature of 16oc. For the majority of people, the Caribbean makes them think of amazing beaches, and the Dominican Republic is no different. Whether you like busy beaches or something more secluded, there are so many perfect beaches here, you’ll truly be spoilt for choice. If you want a bit of adventure then discover Pico Duarte, the Caribbean’s highest point. Situated in the Cordillera Central, it has become a popular attraction for climbers and hikers. A climb can take anywhere between two and fours days, but once you reach the summit at 3,098 m above ocean level it’ll all be worth it for the spectacular view. A location that’s the complete opposite to Pico Duarte is Lago Enriquillo, the largest lake in the Caribbean. It’s the lowest point in the region at 45 m below sea level, and a place that’s great to cool down. It’s a well known fact that Dubai is an astounding place to visit, but did you know that the winter months start in October and last till March? Don’t let this worry you though, as you can still expect average daytime temperatures of 25oc. The first place we suggest you visit is one of Dubai’s public parks. They aren’t like the ones we have in the UK. In Dubai their public parts are a place of beauty and tranquility, and they’re the perfect place to forget everything and simply relax. 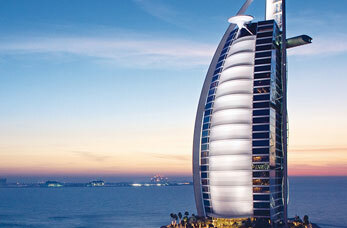 An amazing place which is on almost every must-see location list for Dubai is Burj Khalifa. It’s the tallest building in the world, providing one of the best views in this location. If you can brave the world’s fastest lift which only takes a minute to go from ground level to the 124rd floor viewing platform you’ll be greeted with fantastic views of this amazing city. You may have been to Vegas and seen the fountain displays, but Dubai does it even better. Everyday during the week the fountain outside Burj Khalifa and Dubai Mall does an amazing show, utilising music, lights and water to leave you awestruck. If you want to avoid autumn completely then go to Australia. October and November is mid-spring there so you can expect temperatures anywhere from 14oc to 30oc. 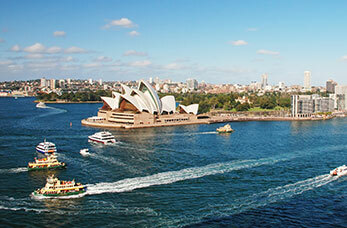 Sydney is a must-visit location as it’s a cosmopolitan city with beautiful beaches. A location that you won’t want to leave is Bondi Beach. It’s how most people envision Australia, with clear blue waters and a beaming sun. At this beach you can learn how to surf, a very popular hobby in Australia. People that enjoy walking can head to the sandstone cliffs for an hour long coastal path. Music is something everybody enjoys, and Sydney is the hub for live performances in Australia. You can find a selection of large concert halls, bars and clubs that regularly have live acts on. Popular venues include Basement and Vanguard which both showcase different genres regularly. Sometimes it can be a great idea to immerse yourself in the culture of another country, and First Draft Gallery is just the place for that. They don’t only showcase famous work, but there’s a good number of pieces created by emerging artists on display. There’s also the Brett Whiteley Studio that has unfinished pieces of work that can only be seen in that location. A great destination to visit during autumn is Jordan, as it’s one of the hottest seasons . Temperatures can be anything from 14oc to 30oc and there’s very little rainfall during this time. As a matter of fact, the rain season starts just as autumn ends. 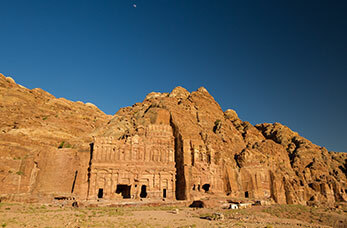 One of the top destinations to visit in this area is Petra. It’s an ancient city where people still live to this day in nomadic cave dwellings. The main thing to see in this location is the Treasury, a rock cut façade that was made famous through the film Indiana Jones and the Last Crusade. The Red Sea also provides an amazing experience like nothing else. It’s the clearest water in this region, making it ideal for snorkeling. An interesting fact is that there’s a number of jelly fish that swim in this water but they don’t sting at all. Another popular attraction in Jordan is the Dead Sea. Known as the ultimate location for relaxation, the water is said to have unique healing properties that cannot be found elsewhere. Allowing visitors to effortlessly float in the water, the Dead Sea has a sprawling beach that features an abundance of natural mud. This is where visitors will cover their bodies in mud and relax in the sun. Interestingly, the Dead Sea is not only the saltiest body of water in the world, but it’s also the lowest point as well. There’s so much salt that the sea is entirely devoid of animals or living plants. A beautiful location in the world is Cambodia, and autumn is one of the hottest times to go. Temperatures can average from 25oc to 27oc, so make sure to bring light and loose clothing. It’s a little known tip to visit Cambodia in this season because there are less crowds in some of the best locations. Angkor Wat, for example, is a place where you can find tourists at 5:30am. It’s a building that was constructed in the 1100’s over the course of thirty years. It wasn’t discovered until mid 1800’s, and it is now considered a wonder of the world. You get an amazing view of sun rise from here, so make sure to get there early. Two places that feel more like New Orleans than Cambodia, Pub Street and Siem Reap Night Market are both places which offer an amazing time. There are just so many unique beers and cocktails for you to try you’ll be spoilt for choice. The night market has traditional gifts and foods on sale, so if you want a souvenir that’s the place to go. Tonle Sap Lake may not be a recognisable name, but this is where the floating villages of Cambodia are located. It’s an eye-opening experience as you see livestock being transported in floating pens and whole families in canoes. Seeing how other people live is a unique and fascinating experience in itself. These are six destinations that are amazing to visit in their own right. They provide a great alternative to what is normally a cold season, that simply leads up to christmas. All of the destinations offer spectacular photo opportunities of which you should take advantage. If you do visit one of these destinations we’d love it if you sent us a picture. Send them to @Cruisenation and you never know, we may create a blog in the future showcasing your image!